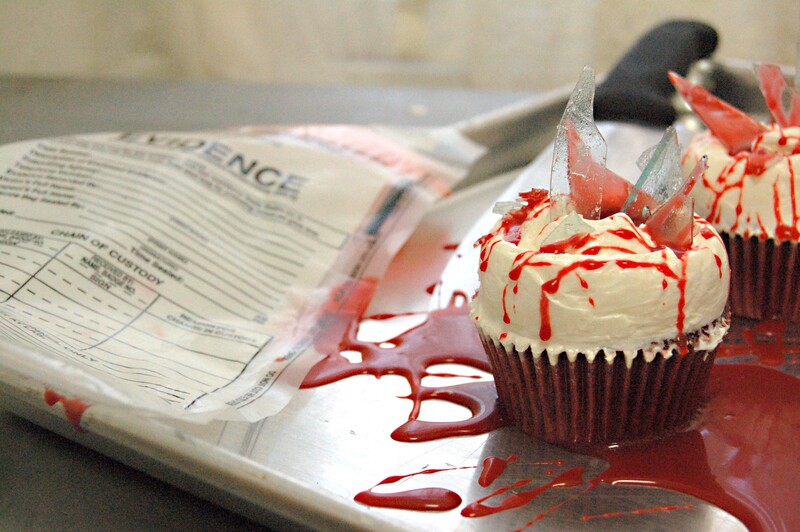 The “Serial Killer” cupcake were designed and made at the Magnolia Bakery. 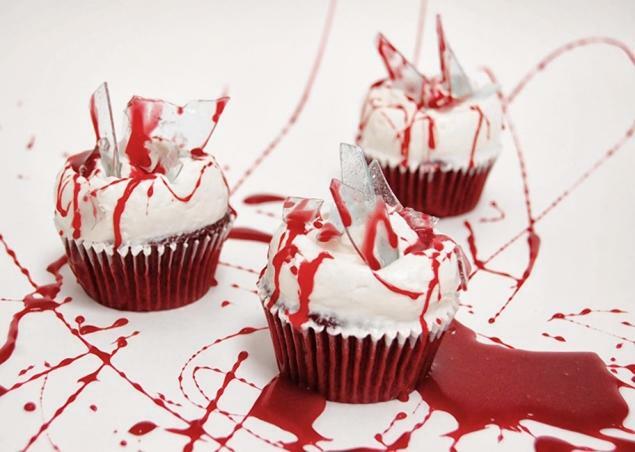 They are completely edible red velvet cupcakes with their glass shards made of sugar, and their “blood” made of red caramel. 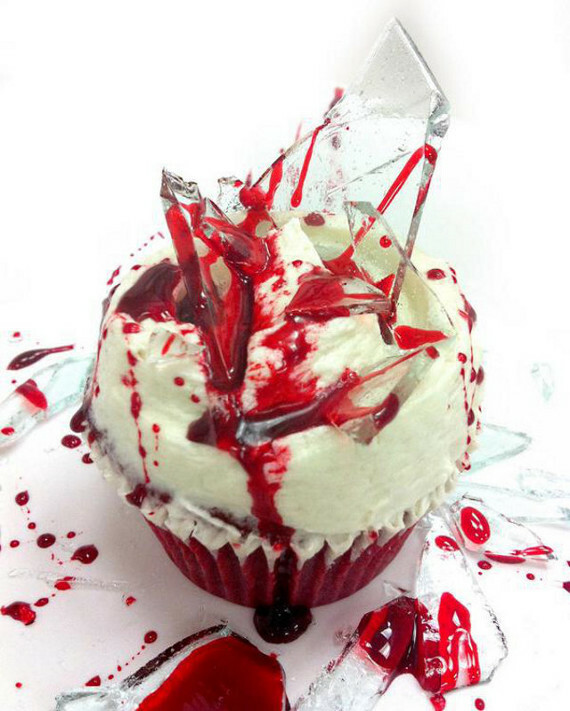 They were created in tribute to the TV series “Dexter” and look bloody FANTASTIC! Thanks to Type B Negative for the insight!